Youth Enterprise With Innovation (You Win) 3 project. More Information: The project was a contract to Christopher-Kings and Associates by the Youth Enterprise With Innovation (You Win). It primarily involved the Monitoring and Evaluation of the milestone achievements, business performance and health of businesses which have been funded by the YOUWIN development projet. Also part of the project was facilitating workshops in various parts of the country to prepare the Grant Award winners for the project milestones as well as periodic visits to these businesses to ascertain their compliance with agreed standards, providing business advice/mentorship to these businesses, ascertaining eligibility of each business for every disbursement phase, flagging and escalating problems, recommendation of mentorship and capacity building needs of the businesses. About Project: This project primarily, involved the Monitoring and Evaluation of the milestone achievements, business performance and health of businesses which have been funded by the YOUWIN development project. 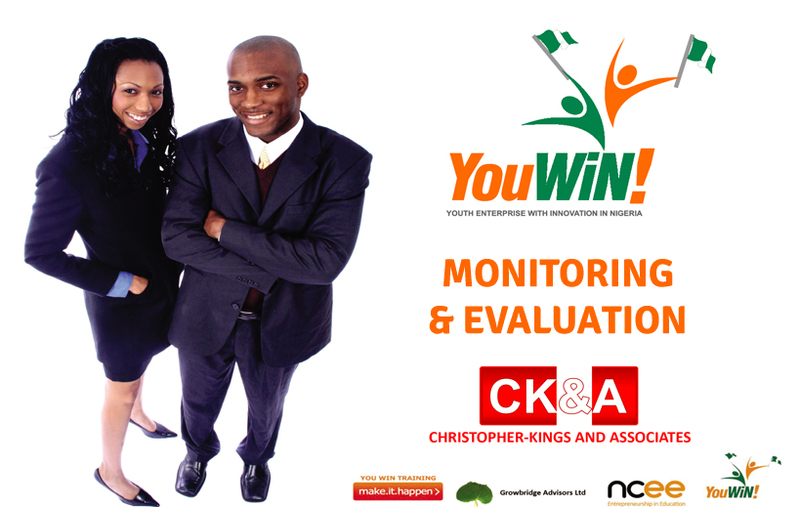 Job Description: Monitoring & Evaluation of Youth Enterprise With Innovation (You Win) 3 project.